After the article of the 25 October us (more), Difesa Online was able to acquire further information about the technical characteristics of the M-346 FA (Fighter Attack) aircraft. - FCR GRIFO-346 (research radar and shooting control, X-band, coherent pulse-doppler, multi-mode and multi-role), produced by Leonardo's Avionics and Space Systems Division. This is an improved version of the GRIFO family of radars with advanced performance and new capabilities. The GRIFO radar has been sold, in different versions, in over 450 units worldwide and is currently in service at six different air forces on seven different platforms. - EWS (Electronic Warfare Suite) including Radar Warning Receiver, Chaff & dispenser, Missile Warning System (with 8 infrared and radio-frequency sensors with 360 ° coverage to protect missile and radar threats. 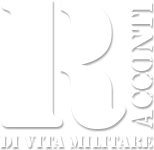 - Tactical TDL (NATO-link 16 & non-NATO standard) to allow cooperation with other forces and means of the same coalition through the exchange, in real time and in a safe way, of all information / data related to the operational situation. - IFF Interrogator to support the clear understanding of the operational theater through the identification of threats through an active and codified interrogation. - RECCE Pod to allow you to carry out reconnaissance / SAR missions maintaining a real-time contact with the ground stations. - TARGETING Pod to allow laser ammunition guidance (LGB) and identification of night / day targets. - ECM Pod to allow direct jamming to hostile targets. As for the armament, it is provided a set of baselines (gun pod from 12,7 mm, GPB Mk-82 from 500 lb; LGB Lizard 3; AIM-9L SIDEWINDER), which will be followed by other additions according to customer needs (IRIS-T short-range infrared missiles; 20 mm gun pod; GPS / Laser-Guided Bomb Lizard 4; GBU-39 Small Diameter Bomb; Brimstone; etc). What are the intrinsic peculiarities of the M-346 that make it suitable to become an excellent multirole aircraft, efficient and effective, compared to other competitors? Aeromechanical performance suitable for those of a 4 ° / 5 ° generation fighter, thanks to an excellent thrust / weight ratio. Ability to perform long-term missions, thanks to reduced consumption and the possibility of refueling in flight. Reduction of the pilot work load, thanks to the availability of HOTAS commands,Helmet Mounted Display (HMD) with function of off-boresight cueingof manned operability Weapon System Officer (WSO) in the rear seat and the Carefree Handling guaranteed by the FCS flight control system Fly-by-wire (FBW) which always ensures maneuverability within the project flight envelope. High mission reliability, thanks to advanced embarked systems and twin-engine configuration. high Training Effectiveness, thanks to the ability to train for operational use using Embedded Training, with lower costs Combat Readiness of pilots by lesser dependence on Direct Support Sorties. Reduced cost per hour of flight, estimated in the order of 50 / 80% compared to 4 ° / 5 ° fighter fenders. Complete autonomy for off-site operations, thanks to the provision of Auxiliary Power Unit (APU) and internal electric power generator. These operational capabilities of the FA version are added to those that the M-346 AJT (Advanced Jet Trainer) can already offer as an aircraft Aggressor e Companion Trainer for the combat training of pilots (shown with considerable success and satisfaction in operations with the Italian and Israeli Aeronautics). The development of the version Fighter Attack M-346 arises from the need of the market to have a carrier able to carry out operational missions at a reduced cost compared to last generation aircraft such as THYPOON and F-35. We are talking about both countries with scarce defense budgets and countries that already have 4 ° / 5 ° generation airplanes online. If an aircraft that already plays the role of Advanced Trainer is able to respond to the above requirement, you could obtain great benefits in reducing / optimizing the costs of acquisition, operation and logistical support. The M-346 AJT aircraft can meet this Market requirement. 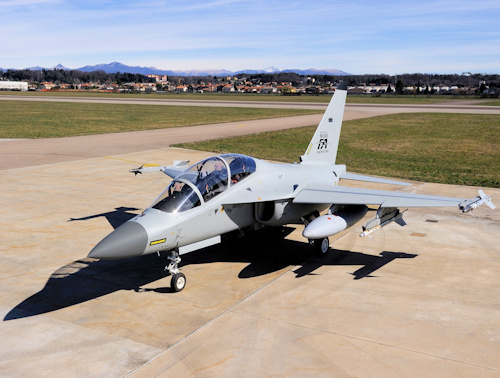 Leonardo's preliminary studies have defined a solution of product family M-346 Light Fighter Family Aircraft (LFFA) that allows you to configure the aircraft in three different operational versions (for both Non-NATO and NATO markets), based on the specific operational and budget needs of each customer. In current operational scenarios, ie those not characterized by the enemy and / or terrestrial domain of the enemy force, 4 ° / 5 ° generation aircraft are often used in low-paying missions with high operating costs. Missions such as close air support, battlefield interdiction, Air Policing actions, tactical reconnaissance and support for personnel rescue operations in combat areas. Avionics update to integrate new mission systems: Fire Control Radar (FCR); Electronic Warfare Suite (EWS); Tactical Data Link (TDL); IFF Imterrogator; Targeting Pod; RECCE Pod. Armaments integration and management: Short RANGE Air-to-Air Missile (SRAAM); gun pod; General Purpose Bomb (GPB); Smart Bomb. Structural strengthening (wing and tail) to guarantee a proper flight envelope with external loads on 7 sub-air points (they are 5 on the current AJT) and to undergo the severity of the operating conditions. Ensuring full duality FT / FA vs AJT, maintaining the integrated Embedded Tactical Training System function for all the operating versions of the M-346 family. Guarantee of integration with the Ground Based Training System (GBTS) and the Mission Support System (Mission Planning, Debriefing, Real-Time Monitoring, Command and Control) for all three versions of the M-346 Family. As regards the Air Force, the T-346A, employed by the 212 ° Gruppo Volo of the 61 ° Stormo, for phase IV of the training course of a military pilot destined to the aerotactic line, also carry out training activities of Close Air Support ( CAS). These missions are conducted by mirroring the real operational missions as much as possible. The training, in fact, involves the carrying out of CAS missions carried out with two aircrafts, both day and night (in the latter case with the help of viewers Night Vision Goggles). The missions are usually carried out with the support of a JTAC (Join Terminal Attack Controller), which can belong to the Air Force or another Armed Force, which operates directly in the field or remotely from the RTMS (Real Time Monitoring System - Real Time Monitoring of the Mission). In the absence of a JTAC, missions can also be carried out autonomously.